Advantages of Window Tinting: Window tinting is a process by which windows can be covered by an extremely thin tinted film with the ability to let in some degree of natural light and heat. This makes the room pleasantly comfortable and at the same time also protects the people within from excessive exposure to the deadly ultraviolet rays of the sun. Glass windows tend to provide easy access to both the heat and the glare of the sun to enter homes, offices and even cars. But this, in turn, results in increased temperature and hot and humid climate within the room. In spring and summers, this directly translates into an additional burden for the air-conditioning which has to bring down the increased temperature considerably to reach the comfortable level set. There is thus a definite spike in the electricity bills during the summer. On the other hand, during winter, glass windows tend to let in the cold from the outside thereby bringing down the room temperature to uncomfortable levels. The heater which is burning in the room, them needs to be kept switched on for a longer duration to relieve the room of the cold that has seeped in. Here again, there is an increase in the utility bills. But with the installation of tint films on the windows, both the heat and the glare of the sun, as well as the cold outside, can be kept at bay thereby resulting in the lowering of the spiked electricity bills and saving valuable energy in the process. Protection: Tinted glass also protects the constituents of a room, be it the wooden furniture of the floor, the fabrics associated with the curtains, etc., the leather associated with the chairs and the furniture, the carpets protecting the floor and infusing a comfortable warmth and softness when walked on it. Aesthetics: Tinted glass windows make for a good installation and addition to any and all types of room décor, be it contemporary, modern, minimalistic, monochromes etc. It helps to increase the beauty of the space where they are installed both from the outside and the inside thus making the decor look eye-catchy. Security and Privacy: As mentioned earlier, tinted windows also provide much-needed protection from the prying eyes of neighbors, colleagues, boss, etc… Also, they also enable transactions and deals to take place in the privacy of closed doors without letting the world peep into it. Thus there is a massive demand for the installation of these tinted films generally marketed by such great firms like solarcareinc.com. Professionally equipped and knowledgeable about the pros and cons of window tinting, this company usually advices to tint windows in spring and fall. 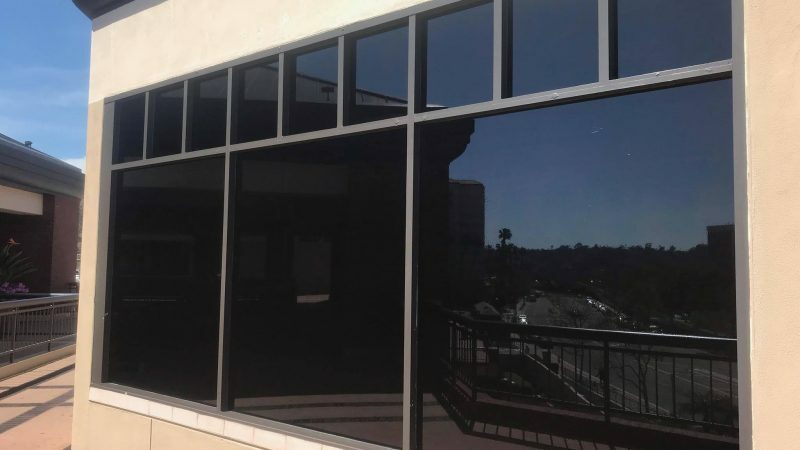 Reduced temperatures prevalent any time of the year results in a longer time period of drying and thus tint should never be installed during this type of weather conditions. This makes spring and fall the best time to install tints on windows since there is a general reduction in both the humidity and temperature. The installation of the tint is dependent on the season since it takes about a week for the tinted film on the window to dry up after being installed. The process of applying the tint to the window. Definite precision is required both in the measurement and the cutting up of the actual film while two or more people have to be there to hold the Tint in place after its protective covering has been removed. Wetting both the window and the tint enable the adhesives present on the tint to start doing their work properly and adhere to the window firmly and tightly. Bubbles and other imperfections also need to be taken out from inside the tinted film installed. This is done using a squeegee which makes the job easier. Later on, both the tinted window and the squeegee need to be dried out, and the tinted film on the window is ready to start doing its work.